Should You Take Social Security Benefits at 62? 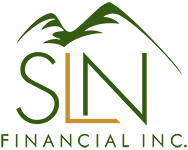 | SLN Financial, Inc.
It’s not for everyone. But, if it’s possible for you, there’s a few great reasons to start collecting Social Security once you hit the age of 62. Check out the reasons below and see if it seems right for you. Reason #1: You may have to begin collecting at 62. Okay, so maybe it’s not a true reason, but more of a possible necessity. Did you know that nearly half of retirees said they left the workforce earlier than planned due to health problems or workplace downsizing? Even if you plan to work until you’re 70, it may just not end up being the case. It’s nice to know you’ll be okay if you retire earlier than planned. Reason #2: Play the law of averages. One main argument to wait longer until you begin collecting checks is that the payouts will be larger. However, if you live close to the average life expectancy for your age, you end up receiving about the same amount in lifetime benefits, according to the Social Security Administration. In other words, the system is designed for those that live an average-length life; meaning it will even out in terms of total benefits (regardless when you start collecting). Reason #3: You could possibly retire early. Claiming your benefits early can be a good move if your family tree has relatives who lived shorter-than-average lives. If you beat the odds and end up living a longer life, that’s great! You’ll continue to collect your benefits. Remember, early retirees usually enjoy the added benefits of being more active - so you can retire while still enjoying your favorite hobbies and activities. Still trying to decide when it’s right to start collecting your Social Security? Be sure to call us and we can give you advice on your Social Security needs.